This is the latest entry in our YouTube Commercial contest, entered by (you may have guessed it) Ukulele Bartt. Is it going to be the last? There are still a few days left. So get your entry in, get folks to watch, and make yourself eligible to win the new Kala from MusicGuyMic. The workshop schedule has now been posted. If you haven’t registered already, surely there’s something there that strikes your fancy, and you will send in your registration, soon. Speaking of registration, the latest winner in our “early bird” drawing is Sharon Paltin, who will be receiving a gift certificate for a tour and tasting for four to Vine Cliff Winery in Napa. Congratulations, Sharon. Next week’s prize is dinner for two at Market in St. Helena, so get your registration in now to be included. After that, there will only be one more! If you’re coming to the festival, there are a few changes you need to be aware of. 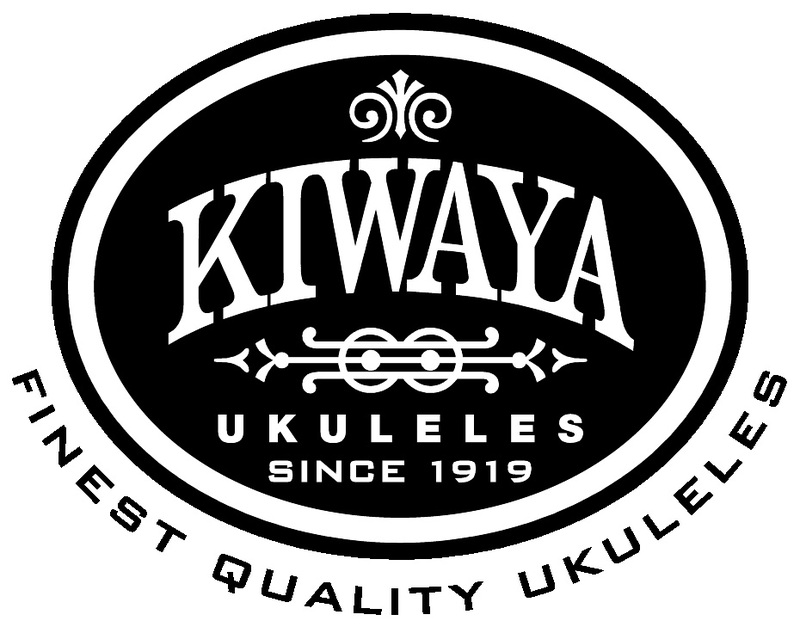 Liko Puha will, indeed, be opening the Wine Country ‘Ukulele Festival at Beringer Vineyards on Saturday, October 10, at 10:00 am with a Hawaiian chant. We hope you will plan on joining us for this lovely tradition that will set the stage for all that the day has to offer. Workshops will commence at 10:15. A little later in the morning, Liko will be teaching one or two Hawaiian songs on the ‘ukulele, focussing on correct pronunciation–very important if don’t want to sound like a complete dodo. 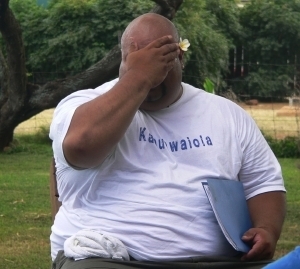 However, he will not be available to teach ‘Auana Hula. Fortunately, with the addition of Debbie Haumea Aynaga we are still able to offer traditional hula for beginners. Please see the Workshop listings for more information. Registration for the Flora Springs Lu’au is now available online. The cost is $55 for Wine Club Members and Workshop Pass holders and $65 for all other adults. What a great way to end the day! David Bustamante and the dancers of Da Island Way will be there to greet you at the entrance to the caves and you will emerge to a beautiful view of the Napa Valley at sunset. There will be food and wine a plenty while you are serenaded by Steven Espaniola and Faith Ako. Then it will be time to put on your dancing shoes and get ready to party with Michelle Kiba and the Tiki Tones. And, just in case you didn’t pick up the perfect ‘ukulele while you were at the festival, our gracious ‘ukulele sponsor for this event, MusicGuyMic, will be there to help you find just what you’re looking for. And there’s even more, but we wouldn’t want to tell you EVERYTHING. We have a few spaces left in “Sunday School” at Miner Family Vineyards and a new guest ‘ukulele-ist for the venue. 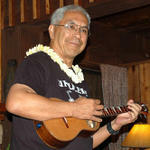 Kimo Hussey will be joining James Hill in the caves for this unique event pairing food, wine, and ‘ukulele. We’re not quite sure what the two of them are going to come up with, but we do know it will be stellar. Meanwhile, Natalie Niksa of La Saison is busy coming up with the menu and it is a great time to acknowledge the generous contribution that Miner Family Vineyards is making to the festival. Even if you’re not going to make it to the Sunday School, you should stop by, taste a little wine, and let them know how much you appreciate their participation. They are located on the Silverado Trail in Oakville, right on your way to or from the festival. As I said, we do have a few spots left, so you should act fast if you’d like to join us there. We are very fortunate to have two, new sponsors joining us. KoAloha Ukulele has taken on the role of sponsoring the Friday night Judd’s Hill Hula Party, so those attending will have an opportunity to win one of their lovely ‘ukuleles and see a sneak preview of “The KoAloha ‘Ukulele Story,” in addition to all the other wonderful things we have planned: music by the Maika’i Gents, party hula with Michelle Kiba, shoes for Soles4Souls, “The Hukilau” parody contest, and more. Thank you, KoAloha. 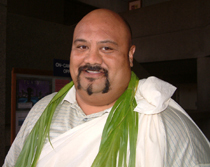 And Hawaiian Airlines has just donated two round-trip tickets to Hawai’i, which we will be giving away at the festival. Remember, if you book your ticket through the link on our website, you will not only save 5% on their lowest internet fare, but you will also be helping us continue to bring you wonderful musical talent from Hawai’i. Just a reminder, the International Marketplace will be in full swing at Beringer Vineyards, Saturday, October 10, from 10 am – 5 pm. It could be a very long time before you ever see that many ukuleles in one place, at one time again. We have built it. Now we just need everyone to come. Please help us spread the word. And while you’re at it, please be sure to check out KAPU 104.7. As we get closer and closer to the date, its more important than ever that you please take a moment to subscribe to this web log. It really is the most efficient way for us to get important information to you in a timely fashion….especially if you’re planning on attending.